Find the Value of Your Home on the Real Estate Market With the Click of a Mouse! 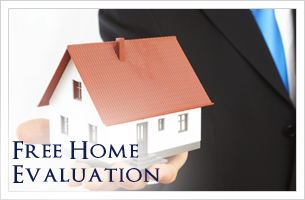 Welcome to our online Home Evaluation system. The answers to your home-selling questions are just a click away! Let us help you find the value of your home. By running a Comparative Market Analysis (CMA), we'll find the value of your property on the current real estate market. We promise not to use this information for solititation purposes. You will only receive and email or call with regards to your market home evaluation.